When we first met our client, Anne, she had been living in her Newton condo for many years. The building, with only a handful of units, is loaded with gorgeous woodwork and architectural details. The original kitchen was dated and not as functional as Anne would have liked, but the thought of dealing with a renovation was daunting, to say the least, particularly as Anne sees clients in her home and she was worried about the disruption to her home. 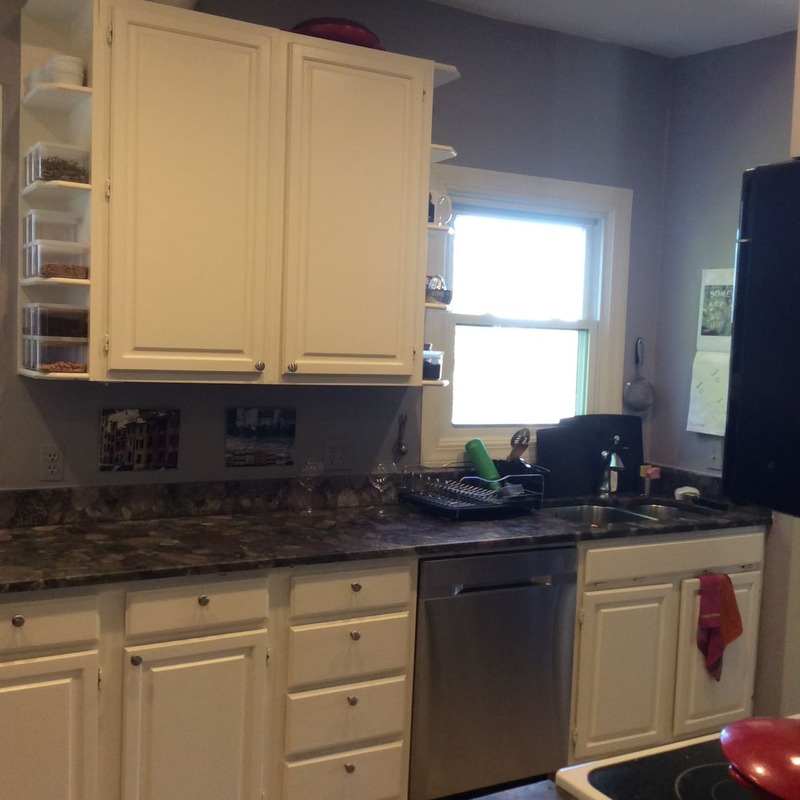 “Before the renovation even started the Gallagher team set up a temporary ‘kitchen’ in my dining area, complete with microwave, fridge (relocated from the kitchen), and toaster oven. I couldn’t believe how functional it was – I even had people over for dinner during the renovation,” said Anne. 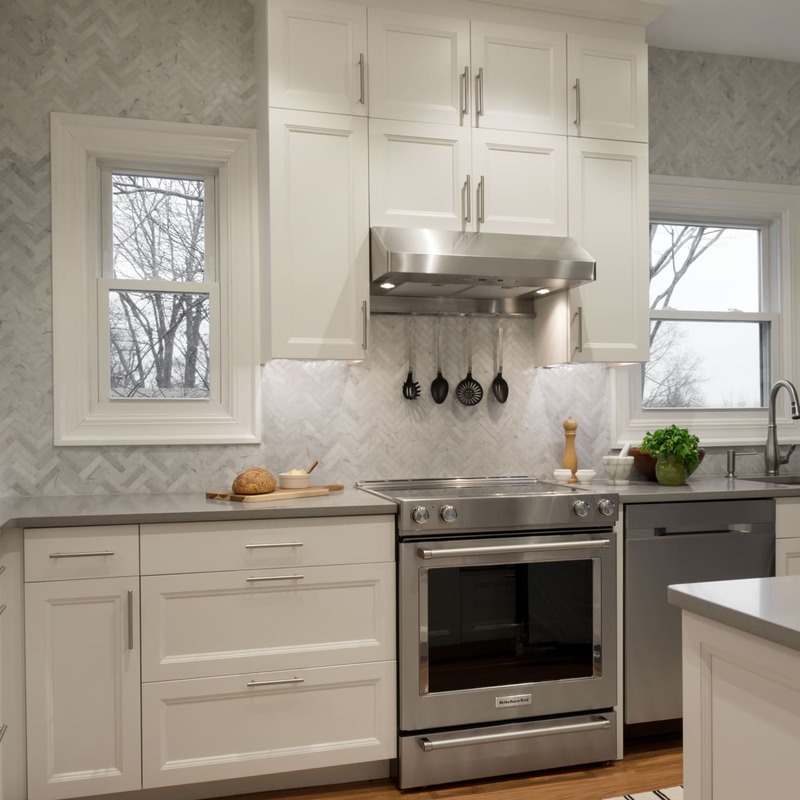 Once the kitchen neared completion, Anne realized that the adjacent living room, dining room, and nearby half bath also needed an update to blend seamlessly with the new space. As a result, the project expanded! Anne also worked closely with our partner, Amy McFadden, of Amy McFadden interior design, throughout the process. The result: a gorgeous new condo that is modern, yet retains the original historic details of the home that Anne fell in love with when she bought it. “I could not be more thrilled with Roger Gallagher and his crew. He transformed my dark and dreary kitchen into a sparkling modern space, and every time I walk into it, I can’t believe how beautiful it is,” said Anne.